Modern and traditional systems are complementary in their view of disease. The modern emphasis is on finding how normal physiology goes wrong and causes disease. When found, therapy is applied to correct the error directly and, hopefully, eliminate the disease. This view of disease and the resulting method of treatment has been extremely successful in many areas. Yet some conditions and syndromes cannot be helped at all by this approach, and others may not completely respond. Often the exact mechanism at the root of the disease is unknown, or there is no specific therapy available. The traditional medical approach is somewhat different. Here, the physician is not so much concerned with the mechanism of the disease as with the manifestation of the disease in the individual patient. For example, everyone has had some experience with what is often referred to as the "common" cold. Sometimes this disease results in a watery runny nose, and at other times it causes muscle aches and a sore throat. Still other people will develop digestive symptoms. Patients may be chilled or feverish, perspiring or dry skinned. So many variations for even a relatively simple illness! 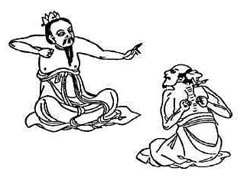 A physician trained in Oriental medicine is taught to "treat the patient, not the disease". So, feverish illnesses such as viral upper respiratory infections are treated differently according to their manifestations; an expert physician can determine the stage of the illness, and therefore which acupuncture pattern and which herbal formula will be most likely to help. 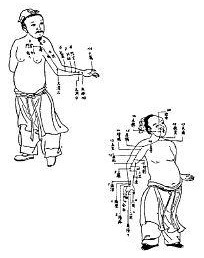 It is, in fact, common to find that patients with the same Western diagnosis will have different illnesses when diagnosed by Oriental methods. This is why they may require different therapy. An elderly woman with an ulcer will not receive the same advice from a traditional practitioner as a young man with the same diagnosis. Some people's constitutions indicate that they will be unusually sensitive to medications, or that their makeup may be unsuitable for acupuncture. Some patients will respond to minimal therapy, whereas others may require a complex and prolonged program. It is common to hear of Oriental or Chinese medicine referred to as an "alternative" to Western medical practice. This is a misguided distinction based on economics and politics. For reasons unrelated to clinical effectiveness or scientific validity, some practices have become dominant in our society, and some, ignored. There are many aspects of modern medical practice which have never been subjected to scientific evaluation and remain popular among physicians because "we have always done it this way". Techniques that have stood the tests of time and patient acceptance in other cultures are often rejected because they are unfamiliar and strange to physicians increasingly trained in a narrow industrialized model of medical care. When I have taught electives on Japanese or Tibetan medicine at Case Western Reserve School of Medicine, I define medicine as the "science, art, and craft of understanding suffering, its causes, and its remedies". Having studied with some of the greatest living physicians of the West and East, I can assure you that no medicine can solve all problems, but also that effective techniques of diagnosis and therapy exist in each. A bacterial lung infection will respond to antibiotics whether the patient is in Beijing or Kansas City. Muscular pain that responds to acupuncture in Beijing will also be reduced in Kansas City. Oriental techniques may ultimately prove to reduce medical costs and suffering in a variety of common and rare disorders. The emphasis on preventative care and low risk intervention early in the course of a disorder may hold the secret to improving health at a reasonable cost. Patients who are frustrated by the control that insurance companies, the government, and company health plans have imposed on their choices and options, or who believe the prevailing medical system is impersonal and indifferent, often find that they prefer the individualized approach of Oriental medicine. It may be that to obtain the best results, one person has to change their diet, another their job, and another may have to move to a different environment. One person may respond to acupuncture and need no other treatment, and another may need a complex combination of Western and Oriental medicine to achieve the best health. Modern attempts to "standardize" medical care reflects an oversimplification of reality to make the process of denying treatment automatic. As noted previously, the best medical care is always individualized, but these developments are part of an organized program to replace skilled, highly compensated physicians and nurses with technicians. Standardized in the mass production, fast-food model, medical standards and access will continue to deteriorate, while the expense of supporting endless layers of bureaucrats, insurance companies, regulatory bodies, and their buildings, staff and infrastructure continues to rise. Tremendous expense and effort is now expended in an attempt to adhere to a variety of arbitrary and unsupportable "guidelines" in order to remain solvent. This is one reason why you will find that most practitioners, hospitals, and clinics spend so much time focused on "procedure" codes. It is instructive that there are no "results" codes, don't you think? From the viewpoint of physicians trained in the traditional models, medicine is not a commodity, but is the result of the relationship between a physician and patient. The responsibility of the physician is to serve the patient's best interest and skillfully diagnose and apply treatment. The responsibility of the patient is to commit themselves to a path of healing, relying wholeheartedly on the physician for guidance. In contrast, modern physicians and patients have allowed outside forces to alter this fundamental alliance. Treatment decisions are made without primary regard for clinical reality. The result has been a system where neither patients nor physicians feel much loyalty to each other's welfare. In part, this is a result of accepting a pervasive falsehood that is promoted by insurance companies and the current beneficiaries of the medical industrial complex. This is that physicians (and patients) are just interchangeable parts in a complex machine. 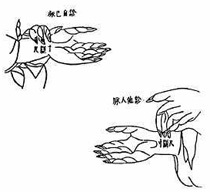 Moreover, their relationships are also considered interchangeable. If this were true, any cardiologist could be replaced by another with no effect on the patient's health. One pediatrician would provide the exact same care as any other. We would also have to accept that there is nothing unique about any physician-patient relationship. Powerful economic interests support such a view. But personal experience and logic suggests that this cannot be so. Imagine the folly of trying to regulate and standardize relationships as personal as the physician-patient alliance. Is it possible to even imagine some bureaucracy regulating and evaluating your spouse, or your best friend? Or being told to choose a new "best friend" from an "approved" list after you've been told that the government or your insurance carrier has determined that your present best friend does not meet their latest "criteria"? I think not. In just such a cavalier way patients and physicians have allowed their relationships to be defined, simplified, and intruded upon. People who are healthy don't know this, but those who have ever been ill, or had a pain which lasted for more than a few days, or have taken care of a child or relative who was sick, realize that to successfully navigate the complex maze of medical decisions, procedures, drug combinations and sub-specialists requires an expert guide who knows the territory. Also, with many diseases, this journey may extend over months or years. The experience of masters of traditional medicines confirms that the true medicine is the relationship between the physician and the patient. All traditional medical systems acknowledge thetime-honored premise that for positive results in medicine, there has to be mutual trust, mutual responsibility, and a common commitment. As in all relationships, the patient physician relationship evolves over a period of time, and requires effort by both the physician and the patient. Modern pressures to find a new doctor or clinic every few years because of changes in insurance and employment have weakened any chance that a long term therapeutic relationship can be established. Modern physicians have also allowed themselves to become involved in complex business relationships that have the potential to interfere with the patient physician relationship. Traditional doctors are taught to serve only the patient's well being, but modern physicians have been made keenly aware of their legal and economic entanglements to corporate and governmental entities. Modern physicians have not yet proven that they can manage this conflict of interest in the patient's favor. Traditional physicians avoid these conflicts primarily by serving only the patient's interest. In most areas of the world where traditional medical systems developed, there was no medical industrial complex. One physician serves one patient at a time and patients rarely have more than one physician coordinating their care. In the ethics of traditional medical systems, a physician who allows economic or political interests to taint the patient-physician relationship is not practicing in an acceptable fashion. Traditional physicians tend to emphasize the preventative aspects of treatment. But, it is not easy to change destructive habits of long-standing, and change is sometimes slow. For the best results, American patients must learn to understand this process and join with their physician in an effort to improve their health. An Oriental physician will first address the underlying cause of the condition. Correcting this may take time and effort on the partof the patient. Obtaining a careful history of the condition and any pattern of relationships to time, meals, or season may hold the key to treatment. Certain aspects of the exam may seem unfamiliar, as may the experience of treatment. Examination of the abdomen, meridians, pulse and tongue may be needed to understand the many subtle aspects of the patient's physical and emotional state. Treatment in the traditional mode may also require frequent visits for evaluation and to make changes in diet and therapy. Often, American patients seek this type of care late in the course of their disease, after unsuccessful surgery or years of neglect. Many conventional treatments have usually failed to help. A long list of prescribed and self-administered medications is usual. By this stage symptoms are severe and the situation is complex. Under these circumstances, it is necessary to realize that great skill is required to improve the situation, and it takes time to modify or reverse the disease process. Continuing visits and adherence to prescriptions of diet, exercise, and meditation may be necessary to achieve the best results. As with all systems, traditional Oriental medicines may not help all conditions, and "cures" are rare in both modern and traditional practice.A positive attitude and perseverance, along with the skillful guidance of your physician, remain your best allies in overcoming the suffering of disease.